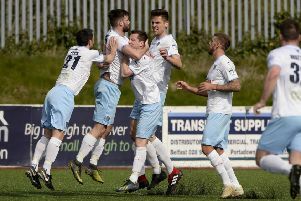 Coaches from Carniny Youth and Ballymena United Youth Academy will set aside their good-natured ‘rivalry’ this evening (Tuesday) - all for a good cause. Coaches from the two youth football set-ups will playing their annual charity at the Ballymena Showgrounds 3G pitch (6:15pm kick-off). This year the nominated charity is CRY (Cardiac Risk in the Young). The game is being played in memory of the inspirational Wes Gregg who died earlier this year. Wes was instrumental in helping coaches and kids at both clubs and organisers are honoured to have members of his family in attendance to accept the donation for their chosen charity. Admission is only £1 and organisers would love to see as many there as possible.